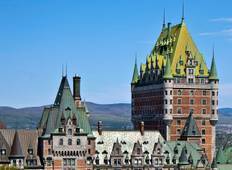 See the top Cultural trips that go through Ontario, Canada. With 12 tours to choose from, they range in length from 3 days to 9. The most popular month for these tours is August, which has the most departures. "Although the tour guide was knowledgeable but he happened to be sarcastic, and lacked..."
"Our first bus tour. So nice to have arrangements made for you. Tickets, reservations,..."
"I have already posted my impressions on the Tourradar reviews"
"The tour guide/chauffuer is only handsome, but has been very accommodating to requests..."
"the trip was just what we expected. Our guide Gladys was wonderful and our coach..."
"Excellent. Would like to come again on your tour. Everything up to the mark. Tour..."
"The tour was amazing! 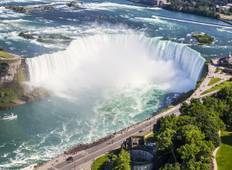 Canada is great country full of spectacular natural scenery...."